Travel and Fitness – Living the good life, that Caribbean Juice! Man, I’m a positive guy. You know almost everything I write about is positive. You know I’m about living the good life, that Caribbean Juice! But, recently I had a horrible travelling experience in Toronto because of bed bugs! I was in the T-Dot for the Travel Expo Toronto at the Direct Energy Centre in Toronto, staying in a hotel that will go unnamed (for legal reasons). I didn’t notice anything when I went to sleep, but I woke up itchy and then when I went to the mirror I saw some weird little marks on me. So, I looked back at my bed, and yes, bed bugs!!! I couldn’t believe this because this was not a cheap hotel that I was staying at. I had heard that there were bed bugs in highrise apartment buildings, but in a nice hotel? What the hell!? Apparently they can spread everywhere, even in clean environments. Not only was I completely disgusted and freaked out, but it completely ruined my trip. I had to get rid of all my clothes and find a new place to stay. The hotel did refund me, and took care of me in addition financially as an apology and to make sure I didn’t mention them in public, so that’s why I am not saying their name. 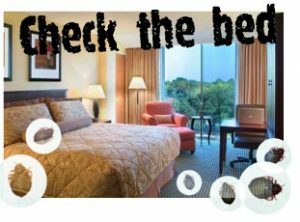 However, I will say if you are planning on staying at a hotel in Toronto, then you should definitely check the Bedbug registry to make sure there haven’t been any past incidents. Of course, I checked this after I stayed at the hotel and did see there had been other reports. I could have saved myself from this experience if I checked before, so don’t make the same mistake. Sorry for such a negative post, but I really need to vent! And also, I want to make sure none of you have to go through this experience. I promise I will get back to the Caribbean Juice with a super positive story soon! I am travelling a lot this month and look forward to sharing it with you. Ever since I came to Canada and had a chance to travel across this beautiful country, I have fell in love with many cities. But, I have to say Montreal is my favourite. There are many reasons why I love this. Quebec is a French speaking province of Canada which offers a vivid environment. Quebec holds a plethora of magnificent cities, however, Montreal is the crowning jewel. Quebec City, the hub of government, is a stunning city too, but Montreal is where the society is. So if you’re looking to take a French Canadian getaway, give you a much better time than Quebec City. Montreal is among the largest cities located in Canada and is located in the heart of this district. Although that a lot of homeowners in Montreal speaks French, English is extensively talked in the area making vacationers very comfortable when staying for a weekend or an entire week. 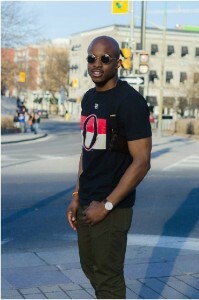 There are different races that originate from different parts of the world that mix with each other making up the society that now hinges on this island confined by the St. Lawrence River. Montreal is special in that it has the difference of having tidy, fresh air as well as stunning parks in the city. Walking or using a bike is a wonderful means to explore these parks, but during certain times of the year, there are other methods to discover. For example, the cold weather bring icy lakes, giving the possibility to go ice skating. Conversely, throughout the summer, you could take a jet ski or kayak out into the water. Parc Maisonneuve, Parc du Mont-Royal, as well as Square Saint-Louis, are parks prominent throughout every one of Canada. Celebrations are an excellent method to experience the life of Montreal. One of the most renowned celebrations is the Just For Laughs festival. This celebration focuses only on laughing and also having fun. The Shakespeare-in-the-Park Festival takes place yearly and also features readings of the popular plays of Shakespeare. If you are a person that values a great draft beer, then absolutely don’t miss out on the Festival Mondiale de la bier. This celebration includes draft beers as well as ales from every corner of the globe. One celebration had 340 various selections of draft beer from 130 nations. The unique building layouts that could be seen in Montreal fits the modern-day as well as standard setting extremely well. . Travelers should check out the historical buildings of Notre-Dame de Montreal Basilica, Bonsecours Market, Rue Saint Jacques, Montreal University, as well as Place Ville Marie which is primarily retained in their initial kind. The Olympic Stadium and also the frameworks surrounding it are likewise worth a trip to when visiting Montreal, Quebec. The restaurants also provide something to every taste. The wonderful gourmet types of foods in Montreal such as the smoked meat deserves a shot when in Montreal. The climate that Montreal encounter differs from hot and damp summers to icy winters. Travelers would definitely take pleasure in the springtime as well as drop periods as it has a pleasantly mid temperature level. However, the extreme adjustments in the temperature are something that needs to be noted. Whatever time or period vacationers could intend to visit Montreal, there are lots of things to do. Most of the times I visited Montreal was during the summer, but I just got back from a wonderful winter weekend. The city is truly alive all year around and continues to be one of my favourites. One of the most beautiful things about travelling to different places is that you get to meet a whole bunch of different people with unique experiences and views. That’s exactly what happened this weekend with my cousins when we took some Ottawa limos out on the town on the city for a birthday party. My cousin Kamar always does it up big, so he had a big night planned that included a group of 30 of us going to an Ottawa Senators game (he’s a big fan) and then Mansion night club after. I’m not a huge partier, but when a good friend or family member is having a jam, I partake and sometimes can get carried away! We started the drinking early at Kamar’s and it continued in the limos (we needed two with all the people!) and then, of course, more at the game. By the time the hockey game was done, I knew I had a few too many…I wasn’t feeling so great. But, I knew the whole night was planned out and we had a big group that had to go a long way to get from Kanata, where the arena is, to downtown Ottawa where the club is. So, the only option I really had was to man up! Unfortunately, my stomach wasn’t listening to my brain and I became sick in the limo. This was a horrible situation because everyone was having a great time and I couldn’t join in. When we got to the club, I told everyone to go ahead and that I would just stay in the limo. I asked the limo driver if that was ok and she said “no, how about I drive you home instead? It’ll be free of charge”. “I’ve been in this position before” she said with a smile, “I’m not going to make you wait here all night for your friends”. I was incredibly grateful and did offer to pay her, but she would not accept it. The thing is not only did she give me ride, but we ended up having an amazing conversation. Well, really it was just her telling me her story because I was too sick to talk, but that turned out to be for the best. Her name is Shaneece and she had been driving limos for ten years now and said she loved it, but before that she had a very difficult life. She had been out on her own since she was 15 years old as her parents had died in car accident and she ran away from a foster home. Then she had many hardships including battling breast cancer and getting stabbed by someone trying to rob her! 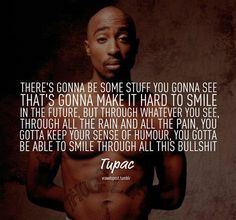 She said had an epiphany when she first heard that quote and right then she decided she is always going to keep a smile on and push through life no matter what comes her way. I’ll never forget the conversation we had. It was extremely inspirational and a good reminder that there are good people all over who are just trying to make the best of the hand they are dealt. 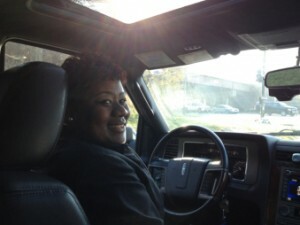 I won’t forget Shaneece the limo driver! An important element of exercise that I have implemented in my regular routine the last few years is Yoga. It is excellent for the mind, body, and soul! You can find wonderful yoga studios wherever you are located in the world, but what I really recommend is to take a yoga vacation! Yoga vacations are supplied by a number of yoga centers worldwide throughout the year that consist of artistically checked out methods to all types of yoga, classically based practices, medication, nature and deep silence and self-query. Today, yoga is popular as a vacation or holiday for many individuals around the world. Undoubtedly, yoga is unwinding and invigorating and it is generally kept in among the most peaceful and stunning locations of the world which allow you to delight in a total advancement from your routine way of life. Yoga vacations are available in various shapes and sizes. In a few of the retreats, you will find out yoga lessons are frequently integrated with meditation sessions (which is also great for you!) while in some retreats you will be offered more free time and one yoga lesson daily. There are some companies that concentrate on providing total yoga vacation plans that consist of morning and evening classes, ritualistic activities, and planned meals. These kinds of retreats are generally performed in a few of the most peaceful and sensational locations on the planet. It is verified that you will not only experience amazing yoga, but likewise some of the calm and sensational vistas around the planet. It ends up being much easier for you to take a trip by yourself, when you choose to sign up with a yoga retreat due to the fact that the majority of the vacations are in fact arranged for groups. One can take a trip on their own to the location and likewise they get a possibility to fulfill various types of fascinating individuals throughout their vacation. Yoga retreat allows you to deal with your versatility and body. Do not feel guilty if you cannot carry out any yoga moves as you are on a vacation where you will work out making your body more versatile and toned and you will likewise have full vegetarian meals which are healthy for you. 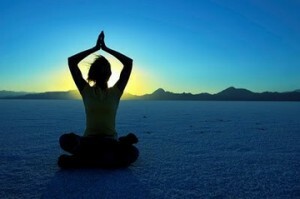 Yoga retreats assist you to break away from your routine chaotic schedule. It really assists you to put your mind at rest, get rid of all tension as well as assist you to live more throughout your vacation. The majority of the retreats are rather budget-friendly and the vacation plans are offered in all cost varieties. You will absolutely discover some economical yoga vacation bundles that consist of all high-end and convenience. Yoga retreats have the possible to alter your way of life. After your yoga retreat, you will come up with an identified strategy to alter your way of life and life. Do not wait simply decide for a yoga retreat today to delight in all these advantages. You will encounter a variety of yoga online. Begin your hunt today to take pleasure in a remarkable and invigorating retreat in some peaceful environment. Caribbean Lifestyle – Exercise, Food, Travel, Party! As I mentioned in the about page of this website, I was born in the Bahamas and am a big proponent of the Caribbean lifestyle. Although it can be hard in Canada to do all the same things because our country is cold most of the year, there are many lessons from my heritage that I implement in my life to be happy and healthy. Caribbean people also eat a ton of colourful fruits and vegetables like callaloo, okra, and taro. 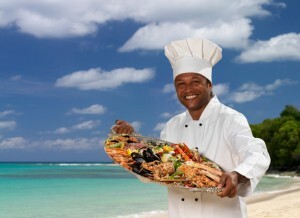 For protein ,the Caribbean diet focuses on seafood and beans and legumes. One of the most important aspects is that everything is seasoned with spices, not salt or sugar! Carribean exercise includes a lot of high-energy aerobics and dancing. The island way is to have a great time in a beautiful sunny environment while exercising, not a in brooding dark gym! Since this is not always possible in Canada, of course a gym is ok, but it is better to exercise in a bright facility with lots of people. After a hard-sweat, it is the Caribbean way to always cool down with stretching and yoga to help treat the body right. Now after all that healthy eating and exercise, it is also important to enjoy yourself. Carribean people love to have big parties and dance and play games. 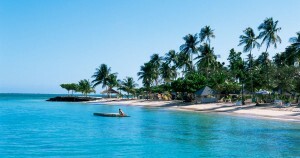 Also because so many people travel to the Carribean for vacation, they are very open and welcome to other cultures. And when they can, they love to travel to! So, in summary: healthy food focused on fruits and vegetables and seafood, high-energy exercise followed by stretching, and celebrate by having big parties with all kinds of people. That’s the Carribean way – the Carribean Juice! Outdoor workouts are the best!